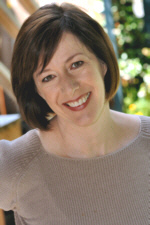 In 1990, she moved back to the northwest and got her MFA at the University of Oregon. She started teaching writing and publishing her short stories in literary journals. “Everyone told me I needed to either get a PhD or write a novel, and logically they were right, but – well, as I’ve mentioned – I have no instinct for doing the smart thing.” The Madonnas of Leningrad, it turns out, was begun as a short story and when she realized that the short form wouldn’t contain the story, she put it back in the drawer for a few years. Debra Dean’s best selling debut novel, The Madonnas of Leningrad (Wm. Morrow, 2006), was a New York Times Editors’ Choice, a Borders Original Voice, #1 Booksense Pick, Booklist Top Ten Novel, and an American Library Association Notable Book of the Year. It has been published in seventeen languages. Her collection of short stories, Confessions of a Falling Woman (Harper Perennial, 2008), came out to critical acclaim, winning the Paterson Fiction Prize and a Florida Book Award. A native of Seattle, Dean worked as an actor in the New York theatre for nearly a decade before opting for the life of a writer. She is currently living in Miami, teaching in the Creative Writing Program at Florida International University, and working on a second novel.